Who knew Peruvian food was so obscene? And I mean OBSCENELY GOOD! My Favorite Bite? The Lomo Saldato: Tender beef, tomatoes, red onions… sauteed with french fries. This is NOT a place for carb counters because the dishes come with a side of rice! Yes, that’s right… TWO starches! Wicked good. 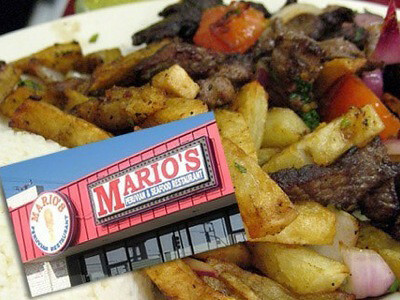 I’m glad you love Peruvian food, LOMO SALTADO is a smart way to take advantage of the expensive tender beef sirloin.